4 Bedroom Detached House For Sale in Lancashire for Asking Price £324,995. 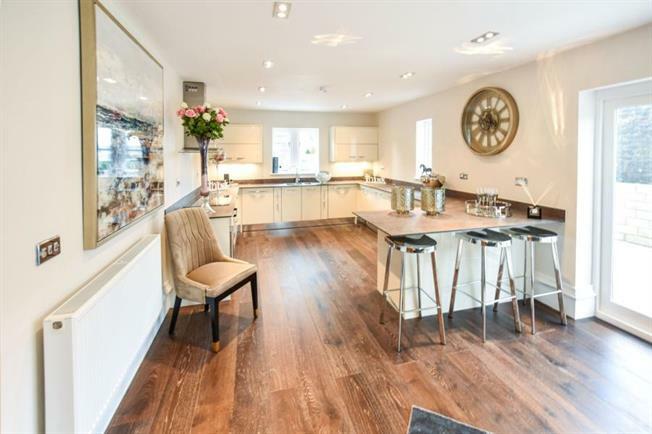 Bridgfords are delighted to offer for sale this exquisite 4 bedroom detached home. Marsden Park is a fantastic development of luxury bespoke properties. Built to a very high standard the properties all offer a high specification. All properties will also boast exclusive access to Marsden Park. This light and airy detached home offers floor to ceiling feature windows and high bespoke skirting boards which add character to this fabulous build. The rooms are spacious and offer views of Marsden Park to the first floor. The restoration of two eighteenth-century cottages and the development of eight new detached bespoke homes on a 0.8 acre site within the setting of Grade II Listed Marsden Hall in Nelson, Lancashire is now taking place. The show home is now open and early viewing is advised to avoid dissapointment. For further information please contact Bridgfords, Burnely on: 01282 270 162.